In taking a page from our AD and DC counterparts, this is a Rumour Mill for the NA-EP group. Included in this OP will be all of the EP's January - 6 February 2015 posts in Zana 's original NA IC Rumour Mill . I have also included the cross faction DC/EP posts. Thanks to Goodbye for getting the ball rolling on individual faction Rumour Mills. If I missed any EP Rumours from the original Rumour Mill, please contact me via forum mail. "Oi, getta load a' this! One day, this high 'n mighty Hlaalu chap walks up to Lord Muthsera Regneir and makes all flowerly and lippy speeches at 'im. Lord Regnier up 'n calls him a bloody s'wit! Right to 'is puss! Next thing I sees is the old fart using 'is great big thunder mace and koshes m'lord Regneir a proper wicket under the jaw. POW SPAK! 'E 'its he roof and crashes inna the ground. Left a right proper grand 'ole, Lord Regnier did. I swears, Lord Regneir tears orf the piker's metal leg 'n beats 'im like a red-'eaded freckle faced 'alf orc .. no wait .. scratch that. Well, if'n y' see some old fusty dusty mer with a clacking limp and a metal leg, all dressup in bronzer frippery, don' remind 'im izzat 'Ouse Dres done drummed 'im up a right proper tollchuckin'. According to a Windhelm guard, he witnessed a Dunmer get thrown out through the door of the Sober Nord, landing on his face and tumbling down the steps. A peculiar-looking Altmer woman stood swaying in the doorway with a hateful glare focused upon the man crumpled in the snow. Her words to the Dunmer were unintelligible due in part to the howl of the wind, but mostly because of her drunken slurring, but it was apparent she did not want to be around any Dark Elves that evening. She then took a staggered step to one side as two remaining Dunmer exited the inn- one of whom looked nervous and confused, the other carried more of a sinister look as he passed the large woman. In Shadowfen, rumors spread of a beast that has been attacking Argonians on their way to Hissmir. It had recently left a small group of Argonians in pieces alongside of a local road outside of Hissmir. Where the creature resides is not known, however its attacks on travelers are a scary idea for any who go among the fens unprotected. Meanwhile, elsewhere in Shadowfen, dead spots of vegetation, strange chanting, and shadowy mists still plague the deep and reclusive swamps. The origin of these circumstances still remains a mystery. Mud Tree Village, a small mining community south of Stormhold has recently been caught up in a conflict between the local goblin tribe and the miners. Working together with a cadre of Redoran Sentinels, the Banescale Fellowship has managed to put a new, more amicable goblin in charge of the Gnaw-Root Tribe. Will Chief Gazuugi keep his promise of peace? Only time will tell. Regardless, Mud Tree Village requires a lot of work before it is up and running again. The people of Shadowfen watch with interest to see if this situation can be recovered peacefully. A strange person has been seen around Ebonheart City. The young lady appears to be Bosmer do to her her stature and two long antlers, but something is off about her. Her large, doe-like eyes are an inky black the color of midnight, and streaks of dark violet seem to swirl around in the pools of darkness. Silky light black hair is pulled back into several ornate loops that are tied with light green vines with a few leaves and white blossoms. The woman is garbed in various skins of animals surely not native to Pact lands, and that have a mystical look. She pays for her drinks at the Flask with pouches made of woven leaves that are filled with shimmering gold. Those who are perceptive have noticed she seems to shimmer as she moves, like she isn't really there. The even more perceptive say she gives off a green aura that smells of the forest after a long rain. They say they feel the warm sun on their face and hear birds singing and the sound of trickling water when they look at her. Who is this mysterious woman, or better yet, what is she? Rumor has it that a string of shoe-related thefts has begun to take place in the small city of Ebonheart. Among those fallen victims are Ravil 'Shoeless' Morvan, whose nickname is now quite literal, along with Garila Samarys and a certain curate of the temple. The victims report a stench of rotting leaves infesting their homes shortly before the burglary. Who is this shoe thief, or, more importantly, *what* is this shoe thief? It seems the lecture at the Wndhelm Mage's guild was cut short as people fled from the building coughing. A person of interest was inside, but perished if their own accord. Who would target a public gathering of people? What was causing people to cough? Did someone say cultist? Earlier today a cadre of Redoran Sentinels were sighted in Stormhold, being led by a Khajiit to the swampland West of the city. When they returned they were down one of their number and had three individuals in custody, a Khajiit and Argonian who were badly injured and a simply dressed Dunmer who seemed to offer no resistance. Later that evening, Ebonheart residents would spot the same cadre entering the city and bringing the three prisoners into the Embassy. On the bridge leading out of Shadowfen and into Stormhold there are several carcasses of beings. A mixture of Man and Mer body parts and half rotten corpse pieces lay off to the side just before entering Shadowfen. There are no clues as to what, or who did this, or who these beings were. There is another corpse, a skeleton, half melted into slag, on the shore of a small creek that runs below Stormhold as well. What ever happened to these beings was certainly unfortunate! The streets of Mournhold are rife with whisperings about heroic Ordinators who chased an Ashlander heretic right out of the city. It is believed that the mer had been found INSIDE the Tribunal Temple. Some say the young Ashlander even dared called upon the name of Azura during the chase. The group of Ordinators returned empty handed, but successful in purging the glorious city of the Ashlander filth. There was an explosion out in the middle of the Blackmarsh.. think anyone heard it? If you get curious enough to travel to the center of the swamp... you might see the remains of a large explosive rune. Be mindful fire rune traps litter the area. Some down river form the center of the swamp have noticed a rotten fish smell as some floaters have made it their way. 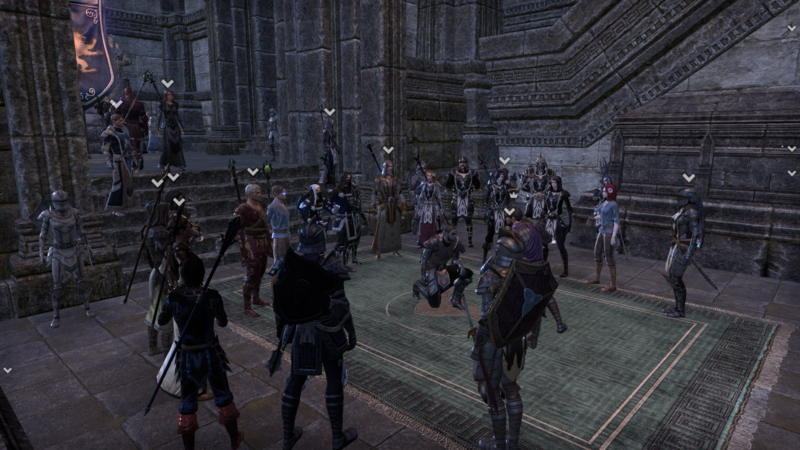 After guards posted on duty at the Ebonheart Embassy today smelt it, it was surmised that someone had, indeed, dealt it. A thorough combing of the grounds ensued, and, followed by extensive questioning, it was determined that the one who said the rhyme did the crime. The criminal was fined 250 gold and released on his own recognizance. 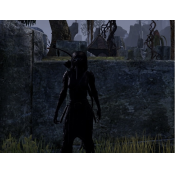 The Memzaltzi Clan are quickly becoming infamous in the land of Morrowind. Numerous conflicts have broken out between this nomadic Ashlander tribe and the Dunmer of the Great Houses. "If not for the mercy of Magistrix Sebaya Indoril (Almalexia bless her) that Ashlander runt would have been dead." "You mean Han-Lluu? I've heard of the boy, even seen him around Ebonheart more than once. No one knows why he's allowed in." "That's right, little fetcher's also said to be associated with the Memzaltzi and the Urshilaku. Sounds like the beginnings of some kind of barbarian army. My brother in Narsis said they've moved on from their camp near there. I guess they overstayed the welcome Vehk Hlaalu granted them." *whispered, would be missed by anyone not listening very closely* "My brother's f'lah told him that one of the Hlaalu guards said the Memzaltzi were trying to summon Dagoth Ur." "Oh fetch me... Three keep us all." There is word that a pair of Ordinators cornered the Ashlander heretic that dared enter the Temple just outside of the city of Narsis but he is believed to have escaped arrest due to the interference of two Hlaalu guards. 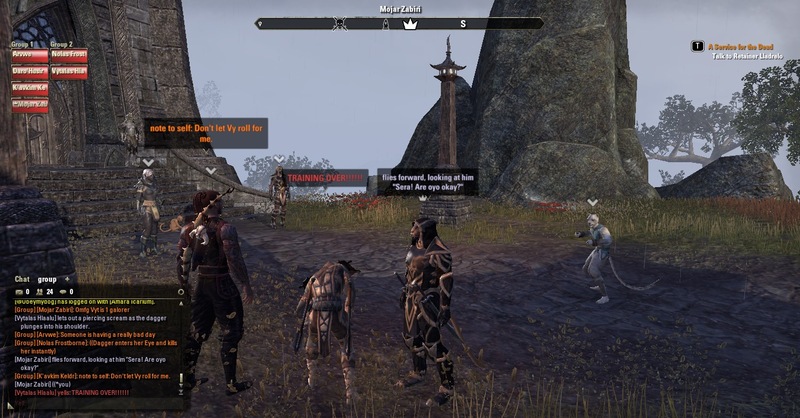 While much of Mournhold applauds a certain trio of Ordinators for chasing an Ashlander out of the city, some murmur discontent. It is said, in hushed tones, that the Ordinators backed off when confronted by a pair of nords and another Ashlander. Why would the "heroic" Ordinators back down, when they supposedly have the favor of the Three? Could the Ashlanders be working with nords? Why might they do such a thing? Rumor has been spread throughout Stonefalls that yet another clash between Ashlanders and Housemer has ensued along the Ashen Road. A group of Ashlanders were spotted crossing the roadway by a Redoran patrol. They noted they had a pregnant human woman in tow, bound and gagged, and seemed hurried. 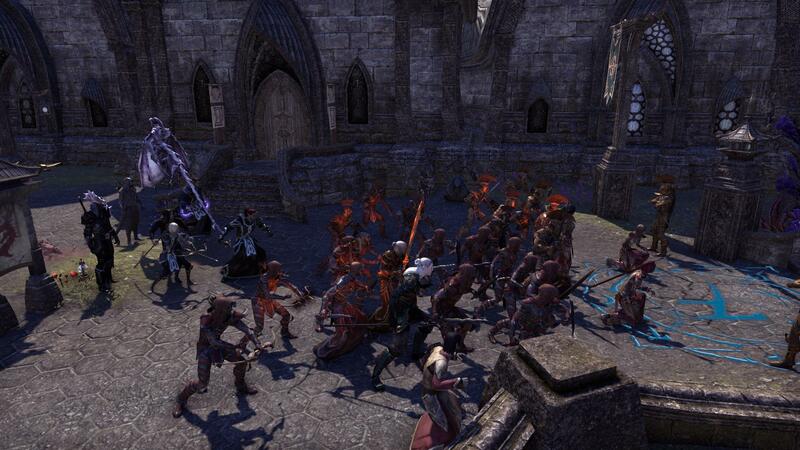 When the Redorans tried to stop them the Ashlanders attacked and the Redoran forces called for reinforcements. After a quick but bloody battle, the Redorans had killed every last one of the Ashlanders as they refused to surrender or even attempt to flee. 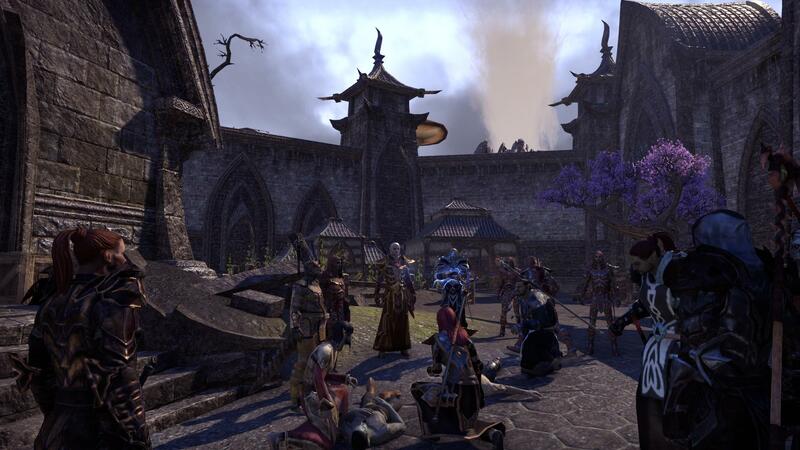 The Ashlander bodies were burned and the terrorized woman was taken to Ebonheart where she is currently being cared for by members of the St. Meris Sanctuary. It is now believed that these Ashlanders were attempting to pose as Redorans, using disguises and illusion spells to make them seem recognizable to the people of Skyrim, likely in an attempt to destabilize relations between Morrowind and Skyrim. Four Hlaalu Personal were roaming the streets of Ebonheart approaching citizens for jobs. They were seen handing out sheets containing requests for various supplies, claiming that the 'Hlaalu Exchange' would compensate them. Five people were seen accepting the sheets and ran off. Another was seen making a business agreement of 32000 gold for Hlaalu to purchase weapons. The Hlaalu were rumoured to have left Ebonheart with the Dres Councilor. A notice has been released to the citizens of Stormhold. "The Banescale Fellowship reports the vampire who was known to be lurking about in this very city has been killed by an ally of theirs. We thank all citizens who aided in the hunt by offering information. You may sleep soundly now." 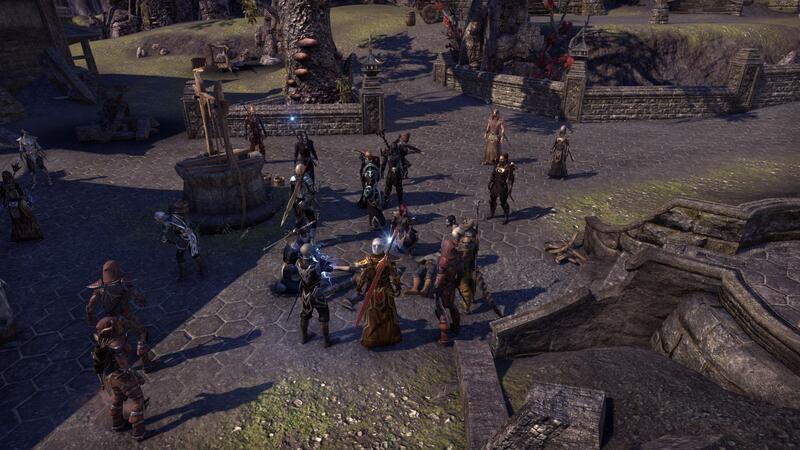 Public postings continue to arise throughout Pact lands requesting aid for a "scholar collective of Tamrielic lore" looking into the events surrounding dunmer culture. The postings are curious and yet consistent, written as a line of indirect historical questioning which seems to center on the events leading up to or following the dissolution of the Sixth Great House of the Dunmer, House Dagoth. The tattered signage throughout Stonefalls and Deshaan remains only in the least traveled areas, whereas travelers can find more recent and public postings throughout Eastmarch and The Rift. In signage throughout Skyrim, a name can often be found hidden inside larger lettering: Assarnibibi. In Windhelm, festival-goers claim to have consistently seen dunmer walking dazed through the night, and one such victim of sleepwalking appeared to be the same dunmer posting flyers outside the Mages guild. I was just leaving the Ebony Flask when I heard one of them Ordinators barking about Ashlanders and punishment. On the Temple's steps I saw two Hlaalu in chains being lashed. Word is they are sympathetic to those Ashlander heretics. This poster has been seen posted up in both the Rift and southern Eastmarch for many months now. Most of the copies are old and tattered nearly to shreds, while others seem to have been printed and put up quite recently. 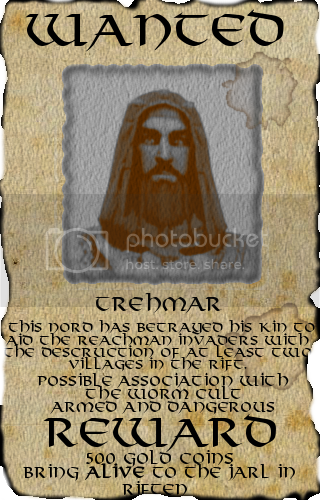 Whoever this "Trehmar" is, he has certainly gained the attention of the authorities. A path of destruction from the recent Reachman invasion has left everyone in the Rift with a sour opinion of Reachmen. Why a Nord would join forces with them (and thus the Worm Cult) is beyond most. If he is responsible for even some of the dismantled villages, dead Nords and burned crops then Trehmar will have to pay with his life if captured. A Hlaalu caravan of silks and ebony ingots bound for Narsis was attacked by Ashlanders on the road today. Few were injured, and no House mer died. Word has it a Hlaalu nobleman in a hood was leading the caravan. Reports are mixed as to whom it was. The Ashlanders were routed, and their dead bodies were pilled up and burned along the roadside in Stonefalls. 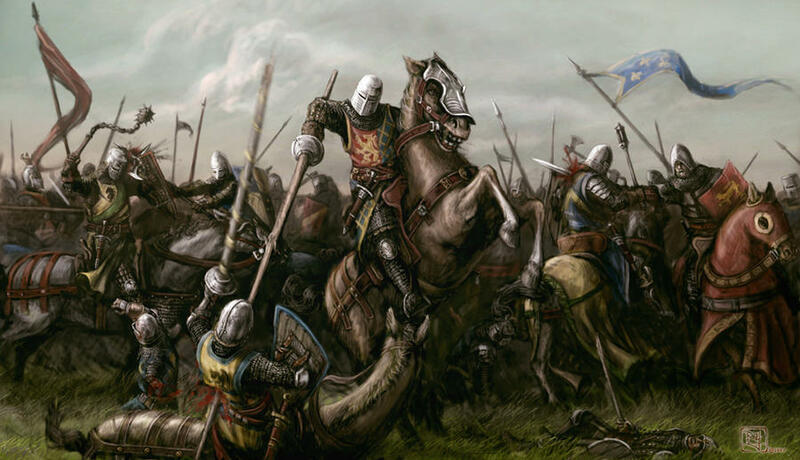 Over the last several weeks armies from all across Pact lands have been seen moving towards Cyrodiil. Shellback phalanxes march alongside Redoran lines and the disorganized lumbering of savage Nord warriors, all heading to the same place. 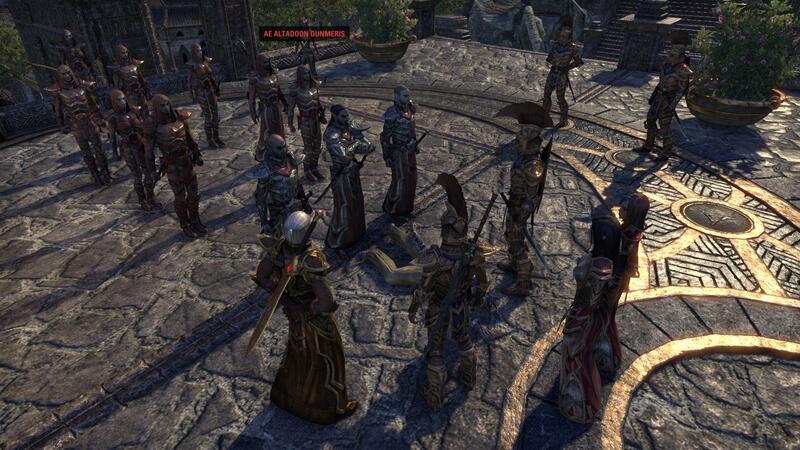 Though the divisions within the alliance are well-known and certainly remain a problem, some can't help but admire the show of unity as these brave soldiers march to reclaim the Daedric artifact from the Daggerfall Covenant. As the armies of the Pact begin to return to their homelands the civilians are shocked and horrified to see how few have actually made it back. Many of the wounded were taken to Nahva's Healing Sanctuary in Tal'Deic Fortress. The loss of the Daedric artifact is a devastating blow to the Pact. Morale has plummeted all across the region as the various Houses, guilds and clans begin to lick their wounds and rebuild their forces. What will happen now is anyone's guess. I was getting tended to at the Tel'Daic Sancuary in Deshaan. Over to the side was a tiny Bosmer tending to an Altmer. I could have sworn I overheard the taller mer mentioning something about defending Auridon, but the two left rather abruptly. Perhaps it was my imagination. I was attending the grand opening of the Tel'Daic sanctuary last night. I stepped outside for some fresh air but could not help but overhear a rather heated argument to the side. It appears a Hlaalu guard was infuriated and accusing his Councilor of incompetence. Makes you wonder what in Oblivion is going on over in Hlaalu House. The usually calm city of Stormhold was disturbed last night by the presence of a wandering goblin. The creature appeared quite lost, rushing around frantically and babbling to itself incoherently. He was approached several times, which he responded to by shouting about being a Chieftain and having an urgent mission to go back to his people. 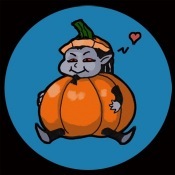 At some point late in the night there was a incident when the goblin was caught stealing sweetrolls from a merchant arriving in the city at the end of a long journey. The goblin was taken into custody and is currently in a cage in the Fighter's Guild, gagged due to his incessant screaming throughout the night while the Fighters and Mages down the hall were trying to sleep. Ebonheart always has a few Khajiit roaming around, but a crew of 8 cats with a lizard companion definitely turned heads when these sailors turned up into town. Called themselves the ‘Ivory Sails Company’ or something? Didn’t take long to get several Ordinators watching them closely. Had 3 or 4 of them watching them like cliffracers and even searching their boats. Sure didn’t stop those Telvanni and Hlaalu from speaking with them though. Even sounded like the Hlaalu hired them and bought their cargo. Something about fine grained sands for glass-making straight from the Dunes? I don’t know, I think it’s just glorified kitty litter. Word on the streets of Ebonheart is that the Flask is under new management. People have seen all kinds of new tables and supplies being brought in, some of which where covered with cloth so well one could only guess what it was. Some seem to think there may be some from of gambling or pit fights talking place, why else would someone cover up bar tables? Not to mention the rumor of the ladies upstairs doing favors if they are asked to "rent the bed", not sure what to make of this new boss. Those who experience Disturbing Dreams begin to see a face and name. Feeling a very real presence of this other person, they are able to call out to them in their dream state, and they are able to recognize them in their waking life. Those who do not experience Distrubing Dreams will not be affected by this. Word going around the streets of Ebonheart fall on the Flask once more. People are talking about a black book laying on the counter of the bar, they say if you write your name down in this book masked men and women in red pay you a visit, and for a bit of gold make your problems disappear. But surely this is just the ramblings of drunken bar guests. Word on the street is, two dunmer dressed in Red and Black boarded a ship in Davon's Watch, killed the whole crew and sank the ship they did. Funny thing is no one saw them leave the boat, but the pair was seen coming back into Ebonheart with a bosmer girl in tow. What is all of that about. 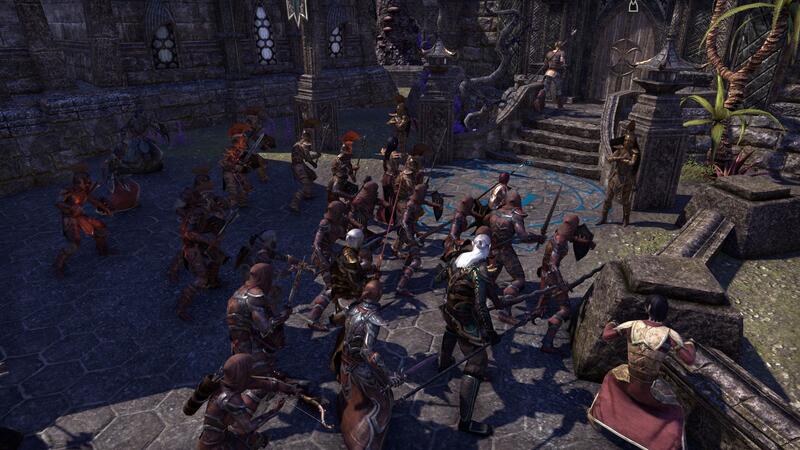 There have been rumours of a crazed pantless Skooma addict running amock in Deshaan, Locals in the area have claimed that he raising an army of scribs to defeat the "dremora lords" that have captured him. The elder mer is reported to be of small stature, silver hair, and was last seen just outside of Narsis. Lady Draecynth Tenisi, Wizard of Great House Telvanni residing in Serk has issued a Five-Thousand gold bounty for his safe return, so he could thusly be escorted properly to the healing sanctuary in Tal'Deic for rehabilitation. The northern reaches of Black Marsh (known to dryskins as "Shadowfen") have long been infested with slavers and Dominion invaders, the two not being mutually exclusive. The few desperately hungry hunters who dare to venture near (at the very real risk of capture and enslavement) claim that the encampments still stand - but that as of the past week, the majority, particularly those along the river near Alten Corimont, appear to be inhabited by nothing but kagouti. One usually-reliable source claims that she saw smoke issuing from the suspected Dominion ship moored just down the river, and that the smoke smelled like "sour, burning milk." What could have happened there? I was riding past Heimlyn Keep when I heard a loud ruckus off to the side. Just outside the gates I saw the Telvanni Harbingers hard at training, sparring and nearly destroying each other in the process. Unlike the usual laid back appearances one would expect. 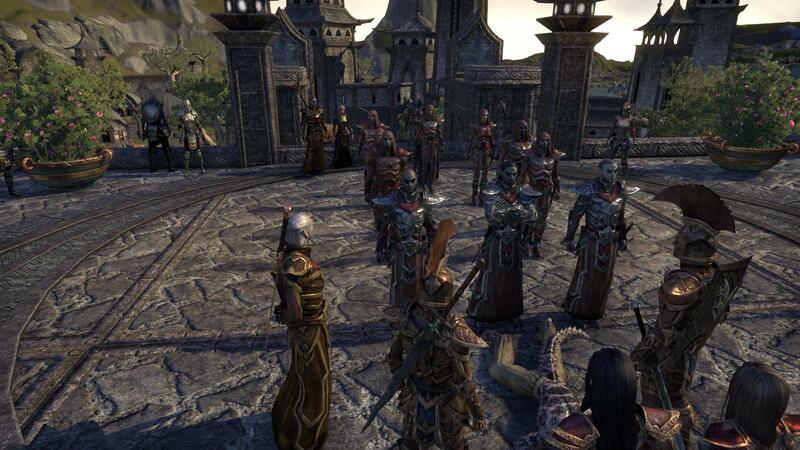 It seems they are getting their guards prepared for something big, what are the Telvanni up to I wonder? "So there I was, mindin' m' own bidness, then I hear tell that this fella Vehk Hlaalu is guilty of 'ERESY! No shite, I 'eard it wi' m' own two ears. "E's gonna get a fair 'n impartial trial followed by a first class 'angin' ... or be'eadin' or whatever these dunmer folk do t' execute a body. No wastin' time on fancy things as justice. Nope. Not the dunmer way. No sirree Bob." "'N who walks in all swaggerin' 'n stompin' wi' a look on 'er face that says 'I 'ave 'ad jus' about enough o' this kack'? Sebaya fetchin' Indoril, the great gran' pooh babe 'erself! Aye, I swears on Malauch's mangy nethermane, itself! Makin' wi' th' threats o' 'eresy at m' Lady Muthsera .. in 'er own 'ome! What yarbles! Steel ones! ... 'ow can she stand wi' balls so big? It get's better! She got th' spien t' say tha' th' Dres ain' gonna use food prices as a cudgel no more or face charges of 'eresy! Now ain't tha' the picture of th' pot callin' th' kettle black? She's a right Lady Cudgelballs 'erself tha ... oh, look at th' time! I best be orf afore the goldenbucket 'eads come 'n toss me in a 'ole." Did you hear what happened at the Temple? It seems Samarys' boy finally proposed to that Lady Nahva. However I heard there was also a huge ruckus that occurred. Something about a heretic invading the Temple. What fool Ashlander would go to a Temple packed with House Mer I wonder? A Nord going by the name of Axebreaker was seen making a wager - a drinking contest - with some fellow with a goofy mustache. Axebreaker won, but also passed out drunk - and surrounded by all sorts of crafting supplies - at his forge. This Nord is also said to be a skald. "Lor', Mudder, y'n Wizard. 'Ey! 'Ow many Ordinator's do it take t' 'ang a door? NONE! The' don' know 'ow t' 'ang a door, they cut it's blody 'ead orf! Ow. oh. Still on th' men' I is. Nah no' from no Ordinators, else I'l be 'urtin' in a 'ole in th' groun'. No Marse Cap'n shock't me till I we' m' pants. ... don' tell 'im tha'. So there I was! Mindin' m' own bidness when Lady Cudgleballs 'n 'af th' forkin' Bucke'eads come a stompin' 'n a trompin' into Lady Muthsera's Manor ... to 'and deliver a frellin' PURCHASE ORDA! KACK! Them lot love throwin' their weigh' aroun', they do. I think it's on account she 'as the mois' 'n juicy's f' m' Lady Muthsera, I thinks. Speaking o' randy ruttin' 'n tuppin' ... Oi! Lor' Broodypants! Y' fin' y' Barchippie lady y' pinin' o'er." Three large and ornate caravans were seen leaving Ebonheart this morning escorted by a detail of Redoran Sentinels. If one looked closely they seemed to not be carrying people, but boxes, bundles and even a hutch full of bunnies likely procured from Skyrim. 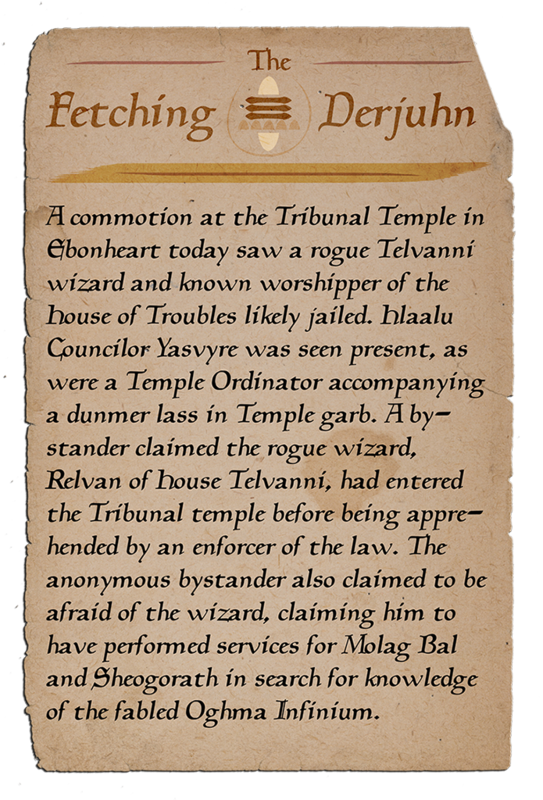 In following the commands of the Temple, Councilor Vehk Hlaalu, Hlaalu Representative to the Grand Council of Morrowind, has been stripped of all lands, titles, and has been removed from the Great House Hlaalu. By Morrowind law, Bahr-Thil Vehk ((Literal translation: No-House Vehk)) must make amends rejoin the Great House Hlaalu, or join any other House. By Hlaalu traditions, his amends must be made in terms of a monetary value, which has been set at fifty-thousand gold pieces. With recommendation from former Representative Bahr-Thil Vehk, House Cousin Hlaalu Yasvyre Anthyren, Trade Master of the Hlaalu Exchange, has been elected by the Great House Hlaalu Council to take up the position of Hlaalu Representative for the Great House Hlaalu on the Grand Council of Morrowind. As unorthodox as her rank may make this, we are confident in this selection of Hlaalu Representative. The ambition, and drive of Hlaalu Yasvyre Anthyren embodies the concept of Grasping Fortune that all Hlaalu should strive to embody. The Hlaalu Council wish her congratulations, and the best of luck. -The Council of the Great House Hlaalu. 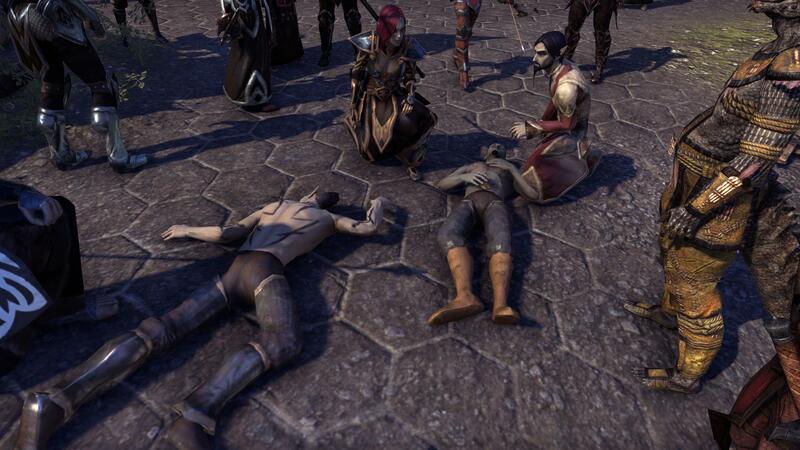 A couple of Dunmer sat around a table, clearly a drink or two away from becoming one with the floor. The only thing more sloppy than their drunken apperance were their slurred words. "Did you hear the the verdict of Vehk Hlaalu's trial? They couldn't pin heresy on 'im." A second Dunmer spoke up, his clothing designating him as a Hlaalu clerk. "N'chow! That's damn right. I heard he was punished with associating with Ashlanders, or sumfin' like that." Another Hlaalu with a mark of the Tribunal spoke up. "E's gonna have to make the Vvardenfell pilgrimage, no shoes or supplies. 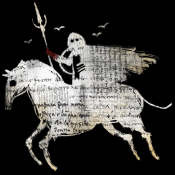 'E was punished for fair and free trade, and now e's going on a pilgrimage just like the 'laalu patron Saint Veloth. A proper 'laalu 'e is." To this the drunks raised their glasses and cheered. "Julrishii." In an unrelated incident, nature observers report a frighteningly large amount of juvenile cliffracers in the wilderness near Serkmora. Those traveling in the area report an influx in skeletons littering the area, likely belonging to small animals that fell victim to the juvenile swarm, as well as a large amount of cliffracer droppings littering homes and heads alike. Travelers are encouraged to wear a hat, and to not look up to the sky for prolonged periods of time. Cliffracers, usually found only in Vvardenfell, rarely come as south as Deshaan, and "could pose a serious threat to local wildlife if allowed to take root," says Malyn Hleran, local wildlife observer and self-proclaimed "nature expert." I was getting a drink at the Inn in Serk, suddenly in walks this pale Argonian with three slaves in tow. Another Argonian, an orc and a Khajiit. Draecynth was mighty mad about him bringing slaves in there, but not nearly as mad when she found out too late that the Khajiit cleaned by using only his tongue. I think I might be drinking at the Flask for the next couple weeks. Some local job boards are saying there's a start up newspaper for the pact somewhere in Morrowind. They're hiring, too. Freelance reporters. Paying gold. Sounds interesting, for someone looking for work. Citizens of Ebonheart may have seen a sloop called the "Cutting Netch" pull into the docks this evening. Shortly afterward, Lord Reymas Samarys was seen striding through the city with several of his Sentinels. They boarded the boat and it sailed off to the North as the sun began to set. Presumably, he was on his way to Vvardenfell, but for what purpose and how long might he be gone for? With the Hortator vote so close at hand, could their be any rhyme or reason for such a trip? And would he make it back to the mainland in time for the coming Moot? Strange things have been happening around Mud Tree Village in Shadowfen. The infamous Dead Spots have cropped up outside the village limits, and strange chants float on the winds late at night. Shadowy figures may be seen on the outskirts of town. Something is afoot, but nothing significant has been done. What is going on? Upon being asked who would be invited to Samarys-Serravel wedding. The Bride to be Lady Nahva happily answered. "Everyone, I have every desire and intention to share a happy occasion with as many as possible in these dark times." Before proceeding to ask the questioner's thoughts on flowers or luminescent mushrooms. A black pennant is spotted off the coast of Windhelm. Anchored in the bay, the Ivory Crescent of Torval is seen to drop a skiff, and take it ashore. Along with her normal pennants and colors, the three-masted merchantman brig seems to be flying a golden flag on her aft yardline; it is the symbol of House Hlaalu, affixed with a likeness of the house's seal, declaring that, at least in Pact waters, the mighty, deep-drafted Aldmeri ship is sailed privately. Larger than most Dunmer, or even Nordic ships, the khajiit-crewed Ivory's tall masts dwarf the other ships at harbor. Over the next few days, skiffs are seen to be dropped, ferrying cargo into the harbor at a steady rate. A wispy, white clad bosmer was seen wandering the streets of Windhelm, stating that she was seeking a temple or holy place. She made several attempts to slap various males, though those so accosted claimed that the pretty bosmer's hand had passed right through them. Several observers noted that the bosmer was the bartender at the Ebony Flask in Ebonheart, but said there was something "off" about her. She was last seen heading south, making a claim to the Windhelm gate guards that cold brought out the worst sorts of vices in men. Not long after the parade that took place in Mournhold, a trio of taven patrons discuss recent events at The Flaming Nix. Felvos sets down his Sujamma and exclaims with mild outrage, "Oh, and did you hear about who they voted to host the next Moot? A Breton! Can you imagine? Are things that bad, they resort to n'wah hosting this event now? You know, they tell me even used to serve the Lion Guard and the High King Emeric himself. If you ask me, its a Covenant trap They sent him here to disrupt things for Emeric, mark my words!" 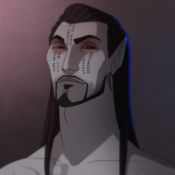 His wife Torasa shakes her head, "Your talking about Oenar Travern, Felvos. He's not just some Breton. Remember the Battle of Khenarthi's Roost? He acted as a hostage negotatior on behalf of Ebonheart's Tribunal Temple to help recover some of their own servants, and even an Ordinator! Then there was the artifact the Curate of the same temple sought to recover from some Frost Monarch in Craglorn. He was one of the champions that faced it down, so they could recover it." She turns to address the Nord woman sitting with them, "He may be foreign, but he's tried to respect our ways, He and the Dawn Shield he leads should be given a chance." Ingrid shakes her head, and looks down at the Dunmer couple, "It hardly matters, since the Moot's in Skyrim, if anyone's too scared to go the moot, no one's forcing them. Yeah, he used to live in Mournhold for a while, but he left shortly after he raised the Dawn Guard banner and moved to the Eastmarch. Some homesteaders took them in so they could get protection against the vampires that live to the west of their home." Felvos smiles and says, "Oh, im not worried. I'm confident The Great Houses will uncover the troublemaker for who he is and put him in chains soon enough. Only good use for criminals like him anyway. His 'Dawn Shield' is nothing more than a bunch of refugees, heretics, and outlaws pretending to be Knights anyway. You mark my words, the Legion will deal with them soon enough, and the Pact Lands will be a better place." Torasa scowls at her husband, her red eyes boring holes into his skin, "Now you bite your tongue, I heard the Magistrix there was one of those who endorsed him, are you questioning her judgement now? 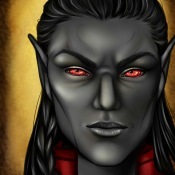 He's been called a friend by Nord and Dunmer alike, so I won't hear any more of this talk tonight, husband." "Isn't that Oenar coming down the stairs now? By the look on his face, I think he heard you." Ingrid commented, looking up the stairs, after setting down her mug of mead. "What..wha?" Felvos stutters, and the Sujamma goes over the side of the table, all over the floor as the Dunmer scurries under the table. Ingrid erupts into laughter, knowing how easy it is to get the man going once he gets drunk. Torasa gives her friend a look and calls to her husband, "Get back up here, she just said that because she knew you'd run at the first sign of trouble." Much later that night, several Dunmer were seen entering and leaving the Eastmarch Mages' Guild more than once, despite its only occupants at that late hour being an itinerant Argonian and a mysterious Bosmer. The Dunmer were clearly in quite a hurry, and there was definitely something not at all right with one of them - though the darkness and blowing snow made it difficult to see what. Strangely, they left for the second time in good spirits, and apparently without the problem one of them definitely entered with. There are rumors of a prank gone awry, but no one is talking. Several farmers at Sathram Plantation in Stonefalls awoke to a grizzly sight today: the body of a Dres minor noblewoman identified to be Maren Marveli, House Cousin of Dres, was found in one of the bunkhouses. She was propped up in a chair, stripped of all clothing, her head cleanly severed and resting in her lap, cradled by her cold, sitff hands. It was also discovered that the words "The Dragon Never Sleeps," had been carved deeply into her back. A skald was sighted on the steps of Tribunal Temple, singing heretical songs of unity between mer and man. Few took him seriously - a Nord wanting lasting peace with elves, ha! - and yet on he played. Before being politely encouraged to move on he was heard claiming that a peaceful solution to the Three Banners War could still be sought. Naivety, perhaps, or a ploy to gain attention. One thing's certain; the young man's drum was full of coins before he left Mournhold that day. Four Argonians were attacked on the road just North of Mud Tree Village in Shadowfen. The four Banescales were following a noise they had heard, and were ambushed by unknown assailants. The attackers never revealed themselves, but a few of the Argonians witnessed shadowy cloaked figures rushing away from them into the swamp. One of the victims, a strong Shellback warrior named Chases-Comets decided to stay in Mud Tree Village after the attack, to ensure the villagers were not in danger. She could be heard asking them about the strange chanting, dark shadows, and cloaked figures. All of which would refuse to talk about it. An altercation arose the other day in Skyrim near Kynesgrove between Nordic forces and a few mer who claimed to be from House Redoran who's names and identities at this time are unknown. The matter arose when Nordic soldiers from Windhelm tracked down and caught a Daggerfall spy posing as a traveling bard. 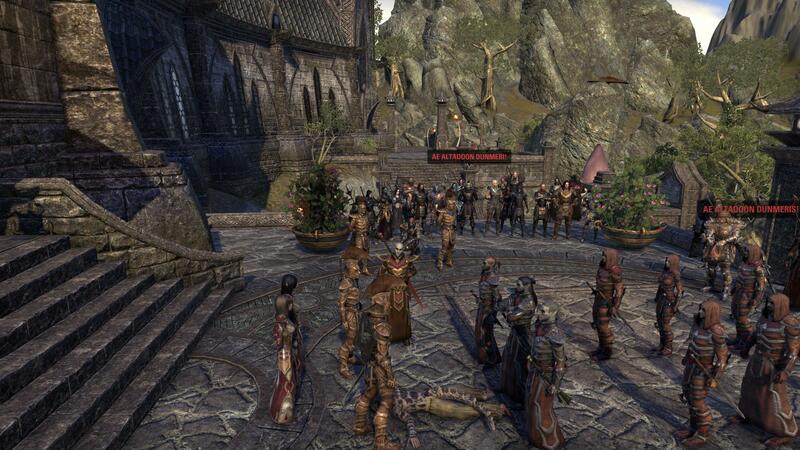 The spy was hauled before a Thane (who the previous mentioned dunmer were having an audience with) in chains. It is unsure how the topic started or even who started it but it ended with the said house mer demanding the nords turn over the spy to Morrowind custody and let them take him back and question him in Mournhold. The more sharp-minded citizens may have begun to put two and two together. The day before Maren's body was discovered, an Argonian that was referred to as "The Dragon" was paraded in chains through the streets of Mournhold by the Redoran Sentinel Legion, where it was delivered to the Magistrix of the Tribunal Temple. His crimes were read aloud to the gathering crowd. According to the Redoran Lord Commander, this was the ringleader of the assassin's organization who were responsible for the attack on the Magistrix Sebaya Indoril as well as many other attacks on Dunmer nobility and Pact dignitaries. "Listen well people of Morrowind, citizens of the Pact!" "Before you today stands this wretched creature: a disgusting traitor to our alliance and one not worthy of the name Saxhleel or the blessings of the Hist!" "This Argonian is the leader of a band of petty thugs and filthy assassins, who sought to undermine and destabilize our glorious nations and their sacred alliance!" "They attempted, and failed, to assassinate both Curate Sinistrae of the Ebonheart Temple and our beloved Magistrix Sebaya Indoril! The latter crime was perpetrated inside the most holy site in Mournhold, the sacred temple we stand before today!" "They also assaulted a respected noble lady of House Hlaalu, Lady Nahva Serravel and threatened Councillor Deras Samarys! Lastly, of course, we have now determined that the death of Skyrim councillor Mathos Dral, a House Hlaalu ambassador to Skyrim, was their only successful victim!" "This creature here, known only as 'The Dragon' was the ring-leader behind -each- of these attacks! He and his band of cretins, have perpetrated the most heinous of treasons, the most vile of crimes against not merely those whom were directly targeted, but against us -all-!" "We now have learned, that not only is this 'Dragon' not a citizen of the Pact, but that several of his wretched cabal were in fact agents of the Daggerfall Covenant! So much for the honors of war! They attack in such a way because they are weak! They seek to plague us with doubt, to strike fear in our hearts! Are we afraid...ARE WE AFRAID?!" "No! We are not afraid! We, three hearts as one, are stronger than ever! Thanks be to members of House Hlaalu, to the Tribunal Temple and to our allies in the North, House Redoran and its Sentinel Legion was able to capture the ringleader of these despicable cowards!" "We parade his visage in front of you this day so you may know the face of the enemy! But do not believe for a moment that this being is persecuted because of his race. It is his crimes and only his crimes that have landed him in this situation!" "Now then! Magistrix Indoril! House Redoran defers judgement and sentencing of this criminal to the blessed Temple." The Temple imparted Ayem's mercy on the wretched creature and painlessly severed his head from the rest of him. His head was then put on display outside the gates of Mournhold with a sign under it that read "Justice Never Sleeps." Could this mean that the Dragon is still out there? Or perhaps a new Dragon has taken the old one's place? Only time will tell. An explosion was heard in Ebonheart today, coming form the main manor in town. The building had only been cleared of the majority of its occupants moments before. There were a few Sentinels injured as a result, but how did this happen? A suspicious woman robed and hooded had been escorted into the manor a little while before by a Sentinel and the Marshall along with a warded container. Turns out the hooded woman was part of a plot to strike fear into the heart of the Dunmer's plush city living. As given evidence by a note found in the woman's possessions. Today is your day, make us proud, the mer have grown comfortable in their manors and plush living. They do not fear, as they should, our Lord. Show them that no matter how many defenses they have that it is their own arrogance that will kill them. There is suspicions that this woman left small pouches about in the city full of a poisonous powder that if effected will cause sneezing, coughing, wheezing, and a burning irritation to any membrane or tissue it comes in contact with in the body. The effect is said to be a necrosis of the tissue it lands on and even as it's effect is slow to take hold once it does you should see medical attention from a skilled alchemist or healer. I was fishing off the bridge outside of Narsis when I heard a commotion off to the side. Curious, I pulled my rod and went to see what all the noise was. It was the Captain of the Hlaalu guard sparring with his troops in what appeared to be Ashlander armor. Nothing was biting so I decided to sit off to the side and observe. I think the Captain was ill, as he seemed to be taking a brunt of injury when sparring with his guards. He even stepped to the side and allowed another to take over, but the poor swit still ended up getting stuck deep in the shoulder with a flying dagger. He was taken into the guard tower with a Redguard afterwords to recover and was in there for sometime. 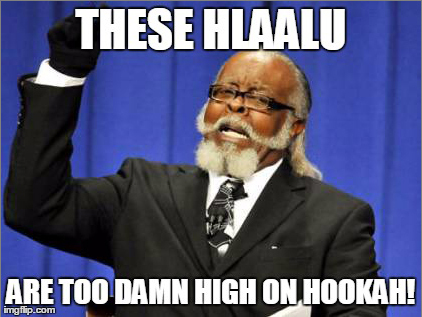 I was impressed by the guards, but what is going on with the Captain of Hlaalu? I was doing my usual rounds, my first stop being the grounds of the lliath Temple in Stonefalls, when I heard shouting coming from the courtyard. Several Ordinators were standing, arms crossed, over what looked like three fresh-faced recruits, exercising them to the point of exhaustion. One of the recruits nearly passed out, then lost his lunch on the cobblestones after he was forced to get up and run countless laps, despite his obvious fatigue. Don’t dawdle, in the stone wood to the Ear-Clipper’s party"
Sentinals responded to the scene soon after to clean up the body from the streets. The body has been identified of that of a wandering Warrior-Poet, Arvel Oren. A regularly visitor of the sanctuary, claims to have seen Lady Nahva unpacking a few new boxes. They seemed to contain a variety of bottles, and a variety of food. Either for the engagement party shes been asking people to attend, or someone who spends a lot of time in Tel'Deic has a taste for expensive alcohol...likely both. Either way, seems things are well prepared for a good time. And people could certainly use it. "Did you hear about Senie? Caravan went through last night, lookin' for a hot meal and beds... they found fire and corpses! The entire town, destroyed! Rubble everywhere, bodies left and right... horrible business. Those Ashlanders are right savages, they are! To think, they call themselves Dunmer..."
Alchemists of the Telvanni stronghold, Tel Nara have recently discovered a cure to the poisonous powders that have been carelessly strung about Ebonheart. A mycologist by the name of Vandrassa Morlayn has discovered these are spores of a mushroom contained in a binding powder that causes necrosis when inhaled or touched. The species itself appears to be a hybrid of a local mushroom grown in Stonefalls. The mycologist working for Tel Nara has given this mushroom a name for this species; Worm's rot or Necrosis Pholiota, more studies are underway. Lady Draecynth Tenisi, a master wizard of the Stronghold Tel Nara has tested these samples for daedric taint and it has been found. The mycologist Vandrassa is currently using the spore samples to grow these mushrooms herself for further study as their damaging properties are frightening. It is said that a a poultice that will expel these spores from the body has been developed, as for the damage itself, a local healer will be enough to relieve the more severe symptoms. Morrowind lies on the verge of total war. The Houses have elected a Hortator, Lord Reymas Samarys of House Redoran, to lead them, but was this the right decision? The Ashlanders' Nerevarine, Han-Llu Maessa has revealed himself, and the City of Davon's Watch put to the torch. Ashlanders snuck into the city in disguise to rescue him, after stealing a large shipment of kindlepitch from a Hlaalu caravan. The Ashlanders used the kindlepitch to destroy the Temple in Davon's Watch, killing all inside and flying their Moon and Star banner above the wreckage. The fire quickly spread to the Northern District of the city, though forces from the Great Houses arrived in time to douse many of them. Despite their natural feelings of superiority, the Great Houses must now admit that the Ashlanders are a worthy adversary. They have proven to be more resourceful and organized than many would have guessed, and now they have sacked to one of the largest cities on the coast of the Inner Sea. 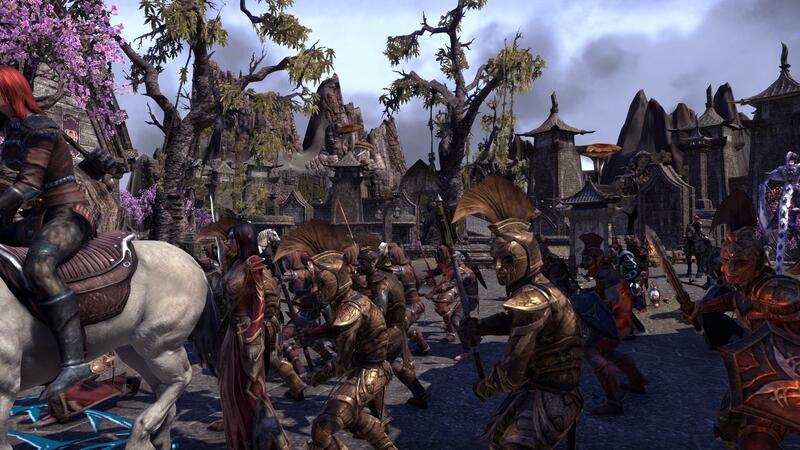 The drums of war beat throughout Morrowind as both the Great Houses and the Ashlander Clans are marshaling their forces. A sense of fear pervades the land, where will the Ashlanders strike next? In response to this heinous attack and the "Ash-fiend's" wanton murder of innocent Pact citizens of all races, the Hortator-Elect Reymas Samarys has declared Sun's Dawn the 5th a Day of Mourning throughout the mainland. Checkpoints are being set up at the entries to every major city in Morrowind. Road patrols and guard postings have been doubled. These checkpoints seem to be searching Dunmer most thoroughly though none are given reprieve. Anyone entering a city should be prepared to have their belongings and person searched. Random blockades along roadways are expected to be obeyed should they choose to stop any travelers. Davon's Watch is a sight to behold, with Argonian, Nord, Dunmer and many of other races working together to clear the wreckage and pull the bodies of the innocents from the destruction. They are piled high and the injured are cared for by priests and healers sent in from all over Morrowind. 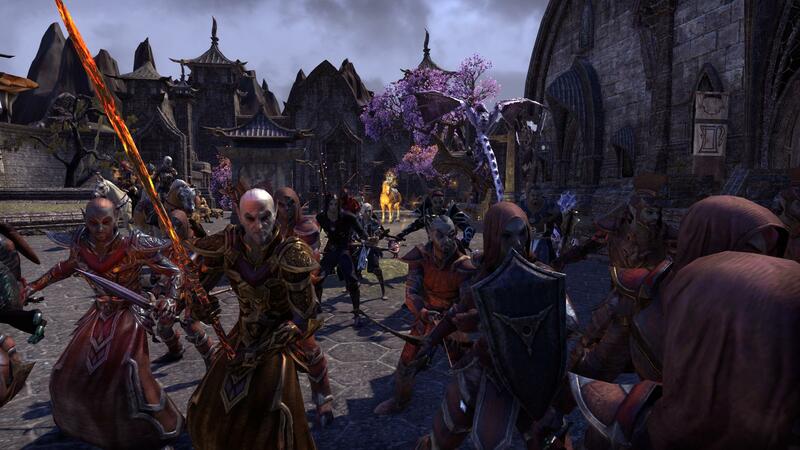 Refugees have begun being transported to Ebonheart City, as well as some making their way to Dhalmora in Bal Foyen. Hortator-Elect Reymas Samarys was overheard speaking to the crowds gather in Davon's Watch after the attack, and was heard to say that Vivec's Justice would be brought down swiftly and righteously upon these heathens. Syndar Indoril stood before the councillors and other House nobles at his home in Vivec. He explained why his trip to the mainland ended so abruptly. "Gone?" said one of the councillors. "What do you mean, gone?" "The Ashlanders destroyed it," said Syndar. "With kindlepitch." The nobles exchanged glances of horror and anger. "Dead," Syndar said, lowering his gaze. "How much of the city was lost?" "The north district, mostly. The combined effort of the Houses and townsfolk spared the rest." The nobles convened in a tense huddle. After some deliberation, one of them turned back to Syndar. "Syndar, speak with the Captain of the Watch and see if he can spare a sortie of Ordinators. You will lead them south to Davon's Watch and assist in the efforts to safeguard the city while we consider the next course of action. Go." Syndar bowed his head and departed. Gods, Davon's Watch is in ruins. It was all I could do to try and drag bucket after bucket of water from the main fountain. Thank the Three that help came in the greatest of forms. Word is that every member of that sermon rushed from the Temple in order to aid the victims of those Ashlanders' attacks. Redoran, Dres, Indoril, Hlaalu and Telvanni alike worked as one to douse the flames and pull the victims from the wreckage. Once the fires were out, there was still chaos, but in the corner of my eye I saw something. Two half burnt Dunmer being led off by an Ordinator and one of the Redoran Marshalls. Even the Magatrix was with them. You don't suppose they had anything to do with this Ashlander attack...do you? "Kack, wha' a way t' go bein' burn' t' a chip in th' temple. Poor sods. Bu' didja see th' faces o' them folks in Davon's watch? Nord, Lizar', Dunmer ... e'en m'Lord Serjos' Molamer n' th' res' o' th' <fingerquote>n'wah</fingerquote>? Some bints struck a' their 'omes, 'n 'eartts. No bitchin', no beatin' o' shields 'n cries fo' war. Jus' revenge. It's Three 'Earts as One 'n th' bloody Drago war all o'er again. "Now, who thinks th' bloody Temple 'n th' 'Ore-tater planned this from th' very star'?" An argonian has seen in The Serk recently. Residents reported seeing him dumping dirt on the tower steps and leaving a note on the door. Written on the note is "Use it wisely"
There have been several shipments of food primarily Saltrice and salted gator meat sent from Stormhold escorted by fighters guild towards Ebonheart. When asked about it they said it was food for the refugees from the Davons Watch attack sent by the Banescale tribe. Over heard at the flask. "So I heard the Redoran legion had to pull two ashlanders off the walls, some sick fetcher skinned them alive last night and impaled them on the pillar tops. They said one of the ashlanders had managed to scribble on the walls as they where drug up. The word demon, was all they managed. Some say they saw what looked like Lord Majere and Kai'Leai heading out of the city last night. But who knows what those two where up to." More chatty bar talk, I think? There was apparently a large attack on Mud Tree Village the other night. Not much information has come out of the area, but supposedly loud explosions could be heard all the way in Stormhold. What happened out there? Late last night, citizens of Mournhold began to whisper about the multiple birds of light that exploded from the courtyard of the nearby Shad Astula, and then proceeded to fly off in various directions. "I bet some of 'em fancy mage's cree'chas got loose!" -Nord in the tavern. "They must be sending distress signals!" -Dunmer scholar. Then, the next day, various birds and magical creations returned to Shad Astula, landed inside, and then flew out minutes later.